To put your enterprise in a position to win, you have to break down the barriers that hold you back. 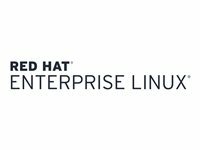 With Red Hat Enterprise Linux, a platform with unparalleled stability and flexibility, you can reallocate your resources toward meeting the next challenges instead of just maintaining the status quo. More than 90% of Fortune Global 500 companies use Red Hat products and solutions.